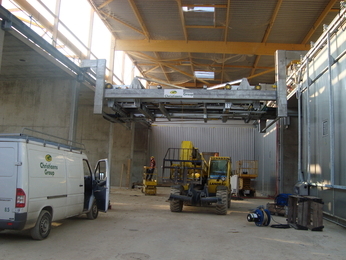 Recently the waste treatment facility of Urbaser in Fos sur Mer (near Marseille) was finished and started up. 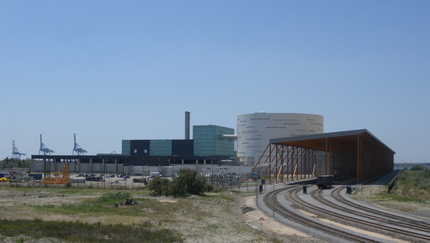 This facility, consisting of a sorting plant, anaerobic digester and incinerator, can treat up to 410.000 tonne of municipal solid waste per year. 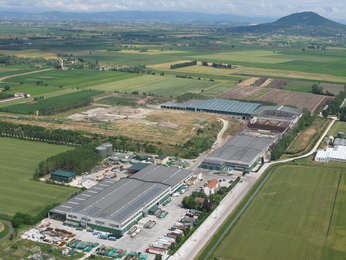 In 2006 Christiaens Group has started to extend the existing SESA SpA composting facility located in Este.The extension comprises the construction of 4 new tunnels and the modification of 10 bunkers.The newly built tunnels are 8 meters wide and 56 meters long. 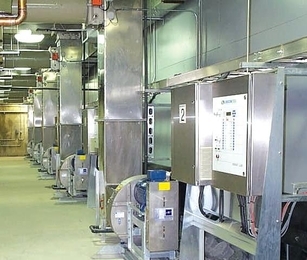 These tunnels are equipped with the same robust air handling system as Christiaens Group is known for. The modified bunkers are converted into tunnels which makes it possible to recirculate the air and by doing so minimizing the amount of air to be exhausted. RAB is an Austrian engineering agency specialised in advising and guiding local authorities and companies in setting up waste composting plants. The design phase is carried out according to a fixed concept. 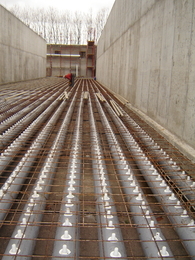 One of the component parts is the supply of pre-sorted waste to the tunnels and the filling process. Loaders empty the tunnels. 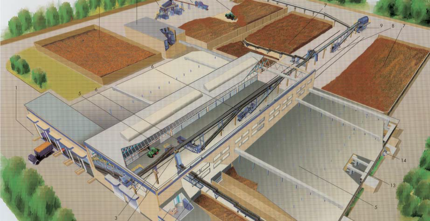 The Prince Albert composting facility, is designed by Earth Tech (Canada)and the Christiaens Group (NL) in order to treat sewage sludge. 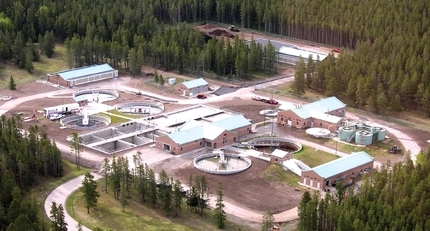 The facility is operated by the city of Prince Albert. 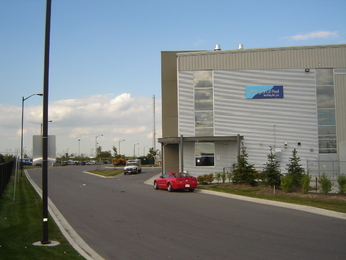 Along with key partners Earth Tech and Maple Reinders, Christiaens Group undertook a Design/Built in order to create a new first phase compost facility for the Region of Peel. 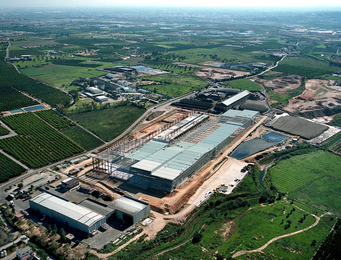 Hornillos-Obra UTE is a corporation of firms, acting on behalf of the organization Entidad Metropolitana para el Tratamiento de Residuos (EMTRE), that has been appointed to implement the construction of a waste treatment plant in Valencia. The aim is the recycling of the various products of municipal waste(glass, paper, cardboard, plastics, metals and others) and the composting of the organic material. Finally the plant will be processing 680,000 tonne of waste per year. 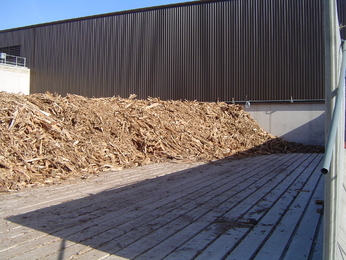 Christiaens Group was responsible for the realization of the Design/Build/Operate project: Hamilton Centralized Composting Facility. As part of the expansion of the Fort McMurray Tertiary Waste Water Treatment Plant, the Regional Municipality of Wood Buffalo gave Earth Tech the order to design a biosolids composting plant. 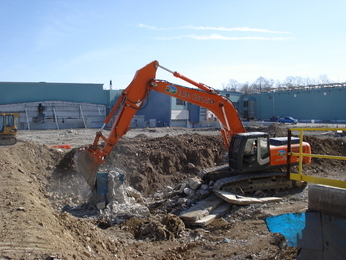 Recently the re-construction of the Organic Waste Processing Facility for the City of Guelph was started. 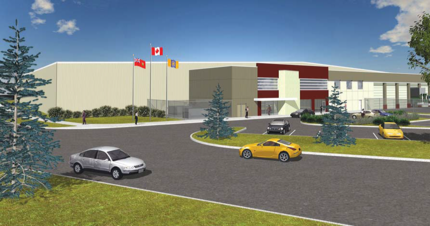 Due to the experience and their combined CV in Canada,Maple Reinders Group and Christiaens Group have been awarded the contract to built this state-of-the-art OWPF. Operations will be done by Aim Environmental and Van Kaathoven Group. 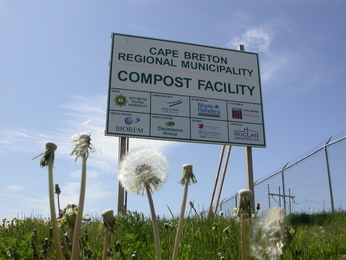 As part of their overall long-term waste management plan, the Cape Breton Regional Municipality (CBRM) collects their organic waste generated in the community separately in order to process it in their newly built centralized composting facility. Biffa Waste Services Ltd. and Christiaens Group have realized an In Vessel Composting Facility located at Etwall in Derbyshire.The input and experience of Garbology Ltd.’s Jason Allum and Mike Hayward, as Christiaens Group UK agents, contributed to the successful completion. truly find the most efficient process to meet its needs. In order to be successful the proponent needed to select the most effective design based on both the capital as well as the long-term operational costs. In 2009 Christiaens Group and Biogas Anlagenbau Langenau (BAL) started a cooperation. BAL runs several dry anaerobic digestion facilities. The Langenau Dry AD facility consists of 7 gas tight tunnels. The tunnels are filled by loader(1) after carefully mixing the different input materials and inoculum. Only 5-15% inoculum is required. After the doors are sealed, the waste is sprayed with percolate from the percolate tank. 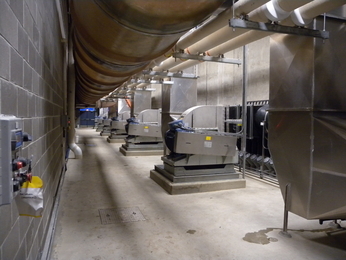 Environnement, delivered and installed equipment for the waste treatment facility for the city of Angers. Angers is a averaged sized city in the west of France, about 300 km south west from Paris. 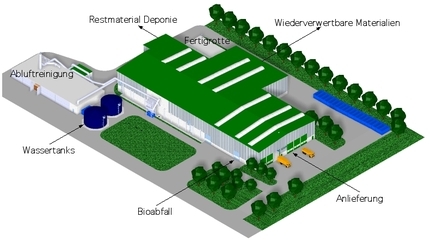 The unicipality has decided to build a new waste treatment facility called Biopôle. In this facility, 120.000 t/a of MSW is collected and separated. The small,organic fraction will be treated anaerobically in order to derive methane gas. The residue which comes out of the anaerobic digesters is going into the Christiaens Composting Tunnel system, these tunnels will aerobically treat this material.